As long as any software enabled digital effects with the right settings before the game is run, the glitch will probably take effect. You might have been able to get the same effect through IGR, although I haven't personally heard of such a thing happening. Not that I have been looking out for such cases on purpose. A line has to be drawn here. If you try to solve all the problems of other projects, then your project will have no limit to its scope. It's a function of the SPU2. Unlike most other IOP peripherals, this device doesn't seem to have a reset function. So a "reset" by libsd is just a software cleanup of the SPU2's state. Unfortunately, it doesn't restore everything to a clean state, like the register values related to digital effects. I made OPL do this before every game is booted, so that we won't have to waste resources in identifying and blacklisting all games with similar mistakes. TnA, Zero35, Peppe90 and 2 others like this. It just sits at the 'Now Loading...' screen forever but doesn't actually freeze as I can still IGR. Using the latest commit and internal HDD. I even tried OPL 0.9.1, 0.9.2 and 0.9.3 with the same result. My md5 matches Redump. jolek, TnA and Zero35 like this. Strange. I had played that game on OPL 0.9.2 from an internal HDD. As long as any software enabled digital effects with the right settings before the game is run, the glitch will probably take effect. You might have been able to get the same effect through IGR, although I haven't personally heard of such a thing happening. Not that I have been looking out for such cases on purpose. What does this have to do with the issue being inherent by FMCB/FHDB, more specifically related to the ELF-Starting through the OSDSYS? ...this even shouldn't be an issue after an IGR, if the 'de-init' (more specifically 'cleaning state') is done properly in FMCB/FHDB, when an ELF is started through the OSDSYS! A line has to be drawn here. Right... and IMO I draw it at the exact right place! Your way would require new apps - which can start ELFs - , to require a fix for something which is caused by FMCB/FHDB in the first place... You would have to draw more than 'a'/one line in that case. If you try to solve all the problems of other projects, then your project will have no limit to its scope. Which is the exact reason, why this issue of FMCB/FHDB should be fixed, where it is caused (in the way FMCB/FHDB fails to clean the state of the SPU2, when starting an ELF from the OSDSYS...). That's unfortunate, because it actually should do that. Not sure, why Sony excluded it to a seperate function and/or lib. There are apps which seem to have issues as well, when started through the hacked OSDSYS! That's in a perfect world. There is no procedure for resetting/deinitializing the SPU2. As with a lot of peripherals, there is no deinitialization by the software itself. Any software that enables sounds effects in the specific way should cause the bug to take place. It doesn't have to be the OSDSYS program. Like I wrote, there is no deinitialization process. The game just didn't initialize libsd correctly, which resulted in some foreign settings getting carried over. How do I know that? It's because the function for enabling digital effects will write to the necessary registers and the SPU2 should use the required region of memory. Digital effects are also disabled at initialization. So how does it go wrong? The game does call sceSdInit() with the cold setting once. That is correct... but then it also calls it again, with the hot setting instead, which has a side effect of enabling digital effects. That was how digital effects got enabled without the function for enabling digital effects. According to you. But is it? That's because you assume that it is a problem that can come from only OSDSYS. If you think that it is a bug in the way FMCB works (i.e. it doesn't let OSDSYS clean up), then why don't you go find that missing function and tell us how to fix it? More logic = more cost. But if you initialized everything you needed to a known state, it will work fine too. After all, the exact hardware configuration is already known when the software is made. We have a finite number of hardware states as well. No, it does not. If you haven't noticed, nearly no other software was affected. OPL wasn't affected either. Then what happens if you IGR from a different game? Any software can use digital effects, not just the OSDSYS. Which apps have sound problems? Is "coincidence" not a possibility to you? Then it's Sony's problem, from up to even 20 years ago. You're also assuming it can do proper deinitialization of the SPU2. We're already calling the same function it uses to do deinitialization as well (I scan for it and call it when FMCB takes control) . But even so, what about the effect of other games on such a bugged game? It's because we cannot guarantee that a game with such a compromised design will surely work well after each and every game that was booted before it, I put the additional SPU reset code within OPL, before the game is booted. I set this game long time ago with OPL 0.9.3 and don't remember any problem. I'll check it. @Tupakaveli This game (exact same version) works perfectly as Always for me. Maybe it's a MC related problem? Are you using VMC?? @Peppe90 I thought it might be MC related so last night I tried VMC and 8Mb Official card, (I usually have a third party MC in Slot 1), still no joy. I tested the game using my 64mb MC, no problems. Maybe it's a bad rip, it worked before?? I'm going to try installing it to a different HDD. Harvest Moon: A Wonderful Life might always had this problem. It is just that it only happens under very specific conditions. I have heard about it before. Since it cannot be replicated on any type of PS2 with working DECI2 capabilities, it is nearly impossible to debug. What it might be, is a race condition on the EE side of the game, causing a deadlock. Since we can IGR out of this, both the EE and IOP were still working. jolek, Zero35, TnA and 1 other person like this. I've the same problem with SLES_534.80 through USB. I certainly tried to and am thankful for @jolek's and @Peppe90's related tests! I stand by all my previous statements about this issue. Well, the PM probably is an overload (veeeeery long) already, so I keep it to these questions and short clarifications. None of these games was causing any problems. I mean there was no sound issues in Half-Life. The Fast and the Furious do not required cold boot to launch. Test was done with backup discs. 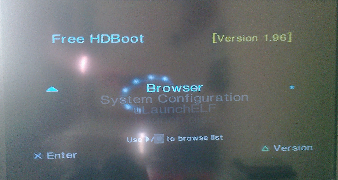 I've also tried to boot ELF from Swap magic menu. I've copied OPL 1200 into "SWAPMAGIC" folder and rename it into "SMBOOT0.ELF". I've inserted a disc with SM and launch via its menu OPL 1200.
was playing fine, I mean I can pass every loading screen. 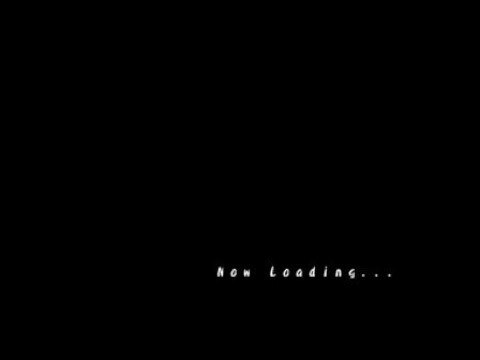 I can't pass some loading screens in The Fast and the Furious and Street Racing Syndicate. Hopefully these games was recently fixed to work with OPL. So it's hard to tell for me if there is some kind of a problem while launching apps through FMCB menu? Most probably is not the FMCB menù but the OSDSYS itself (even if not hacked I think, but is impossible to test on a un-modded Ps2). Since Swap Magic shows the Ps2 Logo, this is exactly as my swap test (same results indeed). Thanks @Peppe90 for your tests. Anyway, to be add, I've also tried few other games that with I've still problems. Most of them are in 1st post. This game in my config refuse to work if I'll boot it through FMCB menu. Star Wars - Episode III - Revenge of the Sith only through USB will crash at press start button page. Warriors Orochi 2 (SLUS_218.03) freezes in certain\random points with SCPH-77004. While with SCPH-50004 everything is fine. So they act the same as they were launched through FMCB menu. I confirm that it is broken from iHDD too. BSOD at boot and I need to hard-poweroff the Ps2 (even with MODE 6 enabled).